Osabu’s Message to Fans About S.H. 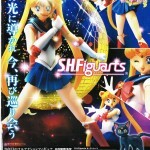 Figuarts Sailor Moon and Answers to Your Questions! A message from Naoko sensei’s editor, Osabu. He’s been Naoko sensei’s editor back then and even now. Well known among fans with his nickname Osabu, Mr. Fumio Osano of Kodansha gave us, S.H. Figuarts, comments. While Bandai Collectors worked very hard to keep the original feel of Usagi’s action pose and face, at the same time, they tried to update the looks to the current style. Even the ad is also very particular so please check it out. When you see the ad you would go “gotta buy this!” LOL Hope you guys can bring all the senshi out. If Usagi sells, all the senshi should become available I think. I personally like to see Sailor Saturn! Let’s do it! And, I asked some questions that many of you had to Xavier Lim at Bluefin Tamashii Nations! MC: Will the new figure have packaging/instructions in English? How much assembly will be required? Bluefin/TN: As of this moment, the packaging and instructions will be still be in Japanese. There may be an additional licensing sticker on the box that may vary by region, but that is there only to mark it as an officially licensed product. MC: Is Sailor Mercury a prototype being tested or is it next in line? Are there figures of other characters also being planned or is it too early to say? Bluefin/TN: Tamashii Nations will often tease figures of future releases or items they would like to test consumer reception on before continuing forward. Prototype figures without release dates or pricing information do no indicate an item is going to be released next. There have been many cases in the other product lines where a prototype figure has been shown before, but has not been released, only to have other characters come out beforehand. MC: When will the figure actually hit the shelves, August, September or October? Many sites are reporting different dates from August-October for when they will actually ship the figures to customers. Bluefin/TN: The official Japanese release date is August 2013. For the U.S. and Canada, it is Sept 2013. Some stores that have very large fulfillment centers may believe they will not be able to ship out in time before the end of September and have indicated an early October release date. 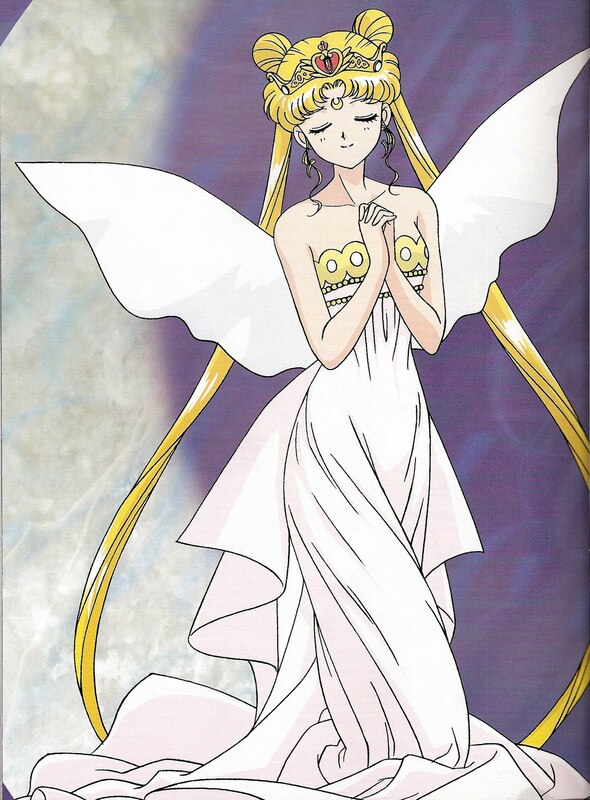 MC: How much input did Naoko Takeuchi have in the design of the figure? What was the collaboration like? How were the facial expressions chosen? 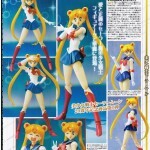 How long did this Sailor Moon figure take to develop? Bluefin/TN: Yes she is involved. This figure has actually been delayed until now by her request. Otherwise this figure would have been revealed a few years ago. MC: How long will the two bonus faces be available, and will all launch figures have them? Approximately how many figures will be in this first production? Bluefin/TN: 1st release bonuses will be packaged inside and will be available on all figures in this 1st production cycle. I cannot reveal production numbers at this time, nor can I indicate if/when a second production will occur. MC: What is the timeline for the production run of the figure (first press and subsequent presses)? What window will there be for fans to purchase the figure before it gets removed from circulation? Bluefin/TN: In N. America at least, the 1st release of the figure will be still readily available for retailers to re-order at least until December. 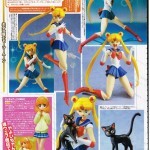 MC: At Tamashii Nations 2012, a figure of Sailor Moon and Luna in Chibi/Super-Deformed design was announced. Are they going to be released and if so when? Only a few more months until release! Are you Moonies excited yet? Sailor Moon S.H. Figuarts in Dengeki Hobby Magazine! Hi Moonies! We managed to obtain some scans of the Sailor Moon pages in Dengeki Hobby Magazine’s June 2013 issue, which went on sale in Japan just a few weeks ago. This is a Japanese magazine devoted to plastic models, and even provides tips about their assembly, modification, and painting. This issue featured a full page advertisement, along with a two-page article promoting the figure. While we don’t know if any of the English magazines are going to feature anything on this upcoming figure (such as Neo Magazine UK or Otaku USA), we thought fans might like to have a look at some of the early press that this figure is receiving in Japan. Check out the pages below! She’s finally back after a long time with a new agent! Alisa Durbrow (Mio Kuroki in PGSM) has landed a leading role in a musical production called “Shinsaku GO!JET!GO!GO!ZERO”, which is a 90-minute show scheduled to run from December 18-December 26, 2010. Right now she is working very hard attending rehearsal lessons to nail down the song and dance routines, as she has had only two weeks of preparation time before her debut performance. There are three different groups performing this musical, and Alisa is part of the “B” Group. On the official page, anywhere that you see a ★, this means that after the shows there will be a fan event where fans can meet all of the stars that performed that day! For more details check out the top of her blog. She posted an entry few days ago, writing that she had some trouble dancing since she hadn’t danced for a long time and that practicing at home was a little hard (but we know she can do it!). Alisa’s fans will definitely not want to miss her acting in this musical! We managed to find an old trailer on YouTube from an earlier production of the musical that fans can watch here. Alisa is grateful for the support her fans have given her as they have helped her gain this role! She also sends her regards to all of her fans overseas! We here at Moon Chase send our biggest congratulations to Alisa and “Ganbatte” for this musical and beyond! Special thanks to the Durbrow family for telling us about this musical! Alisa has also been modeling wedding dresses for Hula Creative Japan, a business that specializes in wedding and special occasion photos. She models a short dress and a beautiful pink orchid bouquet and headband all over the site, and some photos even feature her with a “pretend husband”. Alisa is the most stylish of all the model brides with her bouquet and cowboy boots! Hula Creative Japan offers lots of different packages for wedding dresses and kimonos (both of which are part of Japanese weddings). She is also modeling dresses for the December issue of Japan’s biggest wedding magazine, Zexy (Shikoku Edition only). Using timed posts to our advantage, while these next two weeks are proving to be very busy for our staff members, here comes another sighting from our vault that we thought fans might like to revisit! 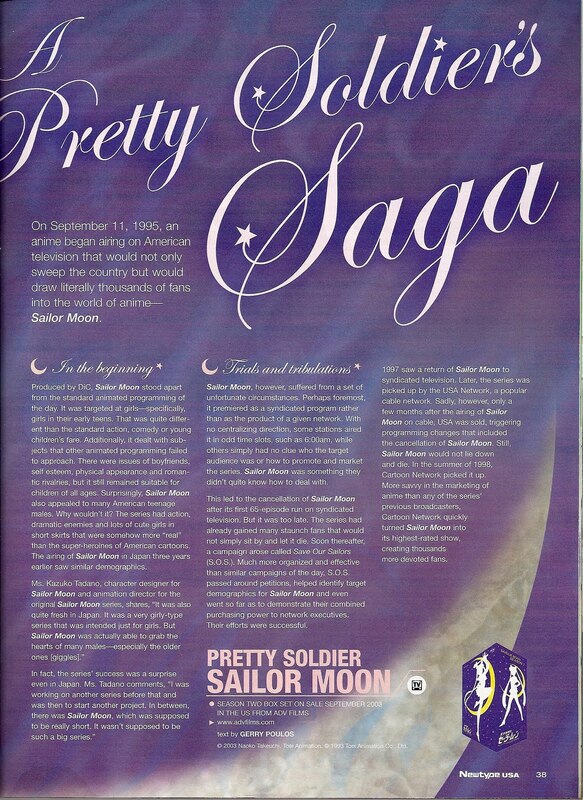 NewType USA featured an article about Sailor Moon in their September 2003 issue, entitled “A Pretty Soldier’s Saga”. It had a lot of reflections of the series from Kazuko Tadano (Character Designer and Animation Director), as well as a very good account of the history of the show since the beginning. This article coincided with ADV’s release of the second season subtitled and “uncut”, but makes no mention of the fact that episode #67 was left off from it! Nonetheless, wherever Gerry Poulos is now, we’d like to thank him for writing such a great article. We kinda miss this magazine too, and we wish it was still around in some form. Click the images below for larger scans – however, the magazine is larger than the scanner so some images may be cut off. 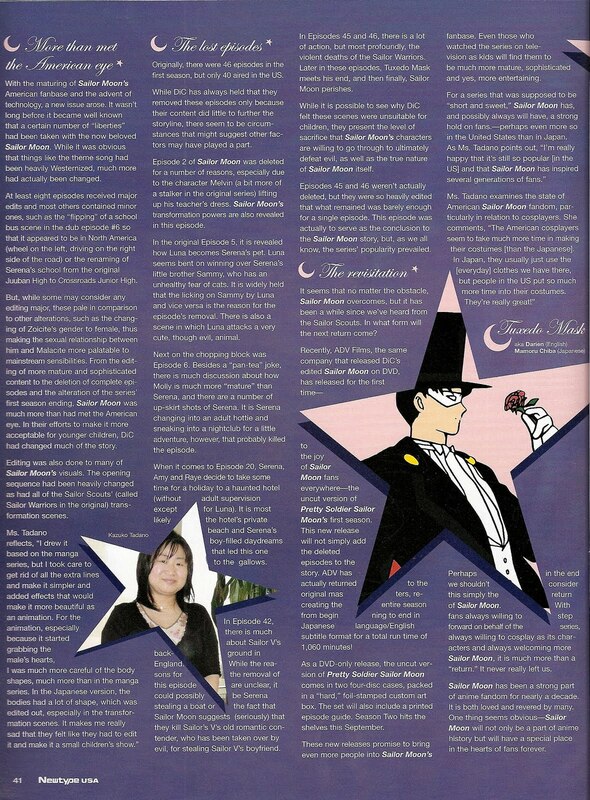 Sailor Moon Cultural Mentions, Summer & Fall 2009! This month’s TVBros Magazine features articles on a few dating sims, and how they have affected gaming addictions, and an article on how the definition of Moe is changing. It’s not just about basing them on anime girl prototypes! Today Moe is starting to be based a little more on idols! The article briefly talks about the origin of the word ‘Moe’ and makes mention that it may have stemmed from the names of anime heroines. 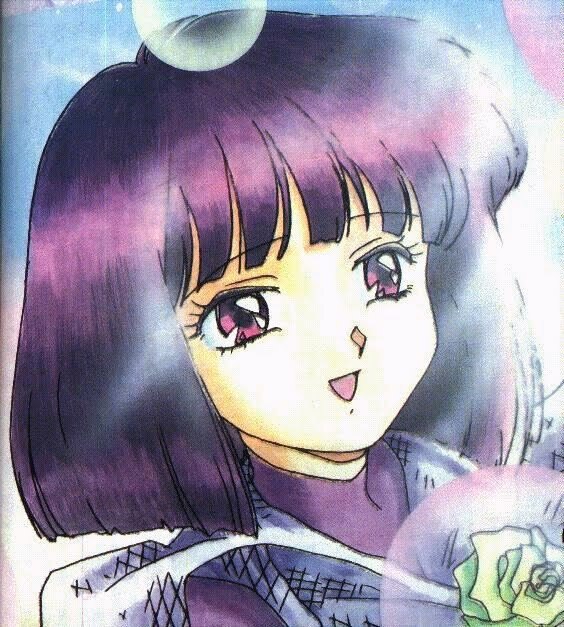 One popular theory is that it came from a shortening of Hotaru Tomoe’s (Sailor Saturn) name. This magazine preview even argues that Moe is dead. Japanese Idol Yuki Nae is also featured prominently in this article as an example of the “new Moe”. For more information, check out TVBros. official site! Anime Tourism Experiences Boom in Japan! While the recession has hit Japan’s tourism industry, anime tourism is seeing a boom. Intermixi of Los Angeles reports that many fans are still saving their money to go on tours of landmarks and other sites in Japan that are featured in anime. The article also featured a quote from Genvid.com‘s Jay Navok, who spoke of his own tour to coincide with the site’s book about Japanese cultural references in Sailor Moon, Warriors of Legend. While this article only talks about the tours that Intermixi runs, there are other options for fans who want to experience “Otaku Tours” in Japan. One of them is Pop Japan, which also features tours that cater to different interests such as music and manga! Norwegian Animated Show’s Leading Role to be Played By Sailor Moon Fan! Saki Fukuda is a Japanese idol who has appeared in many dramas, and has had a few voice roles. A CGI cartoon from Norway called Elias: The Little Rescue Boat is being dubbed in Japanese and Saki will be the voice of Elias! This show from the pictures looks a little similar to Theodore Tugboat. While she says that one day she would like to play an adult female role, she is just as excited about this role because Elias will be a character that young children will enjoy. When she was a young child, she was a huge fan of Sailor Moon and Anpanman, and she still has strong feelings about all of the shows she enjoyed back then! She hopes that this show will be one that all ages can enjoy! To read more about her thoughts on her new role in English, click here! ☽ Recognize these girls? These are the Nakano Fujoshi sisters, a 7-girl idol unit that sometimes also performs as a boy band, Fudanjuku (which “broke up” last year). The group has been around since 2006 and has performed at many events in Japan. They aspire to perform at a con in the United States! 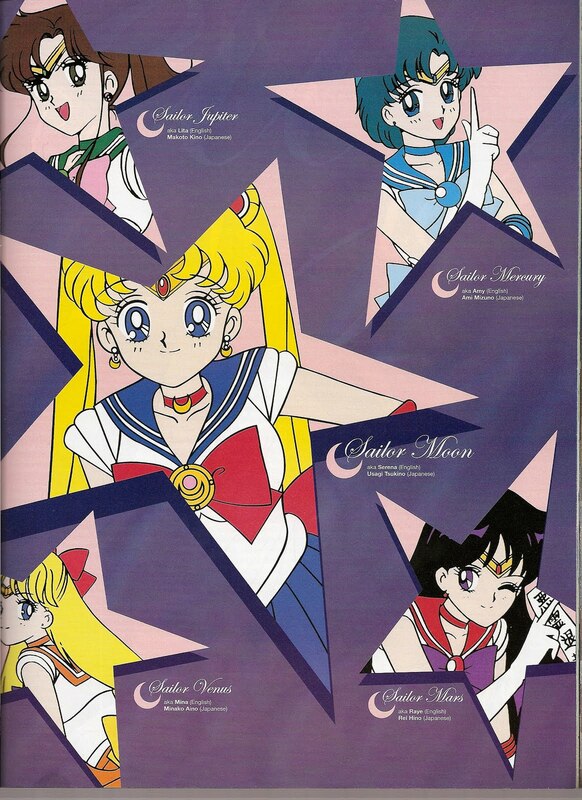 They were featured in Otaku USA‘s August Issue, and their colored costumes reminded us a lot of the Sailor Senshi. We’ve scanned the article – click the image for more information! Who do you like better? Fudanjuko or the Fudanshi sisters? 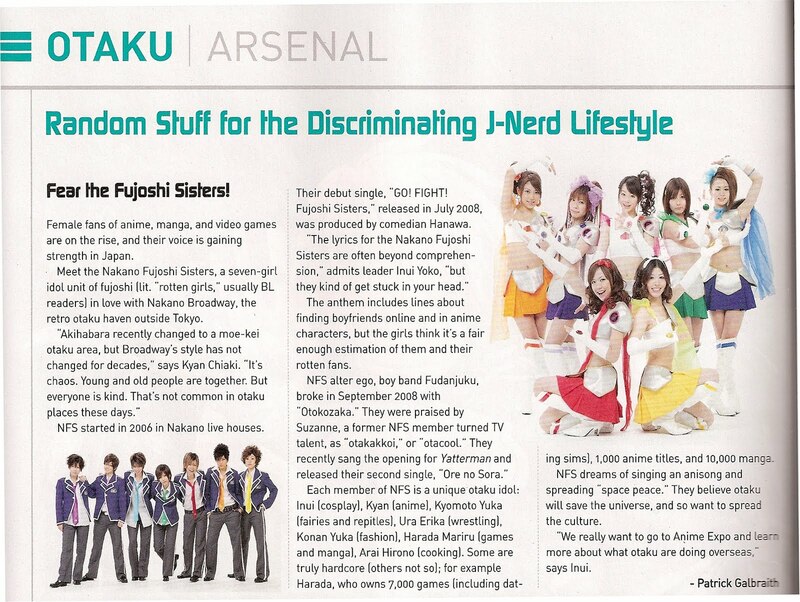 ☽ Otaku USA’s August Issue also featured an interview with the current leader of Morning Musume, Ai Takahashi. She talked about their latest album, excitement surrounding their first time performing in America at Anime Expo, and also what it is like behind the scenes of the popular group. 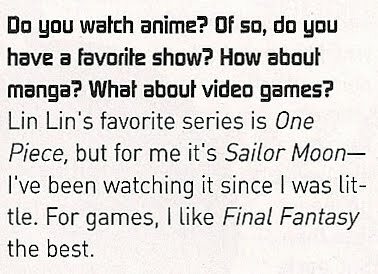 But one of the best parts of this article was when she revealed what her favorite anime was – Sailor Moon! Yes, this was a small mention, but the more that we report anyone’s love for this show, it’s sure to speak volumes to readers from all walks of life just how much the show was, is, and will continue, to be loved. Click the image on the leftt to enlarge! 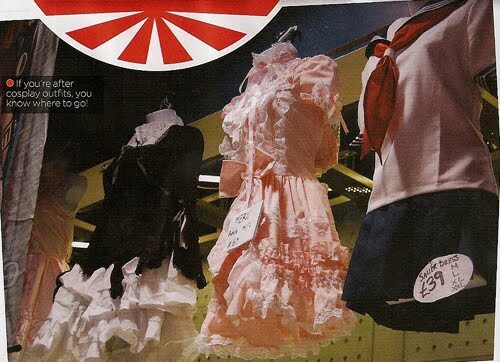 ☽ NeoUK‘s June Issue highlighted TokyoToys‘ new shop in London’s Trocadero, which not only specializes in anime merchandise, but also in cosplay! They were selling a dress that looks very similar to Aino Minako’s school uniform for $62 USD, but this one has since sold out. The store does ship worldwide, and has a lot of neat stuff for order! The shop also hosts parties and game launches, so our London readers who are looking for a good time should definitely check them out!